Bill Russell was not the first African American to play professional basketball, but he was its first black superstar. From the moment he stepped onto the court of the Boston Garden in 1956, Russell began to transform the sport in a fundamental way, making him, more than any of his contemporaries, the Jackie Robinson of basketball. 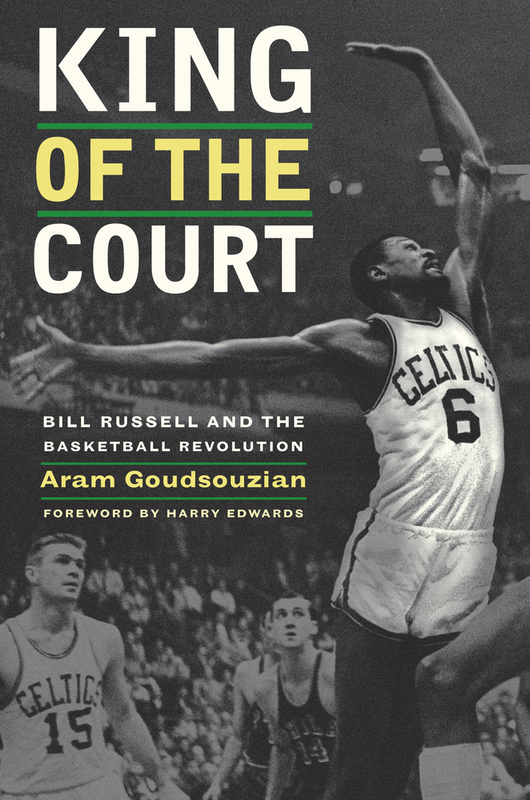 In King of the Court, Aram Goudsouzian provides a vivid and engrossing chronicle of the life and career of this brilliant champion and courageous racial pioneer. Russell’s leaping, wide-ranging defense altered the game’s texture. His teams provided models of racial integration in the 1950s and 1960s, and, in 1966, he became the first black coach of any major professional team sport. Yet, like no athlete before him, Russell challenged the politics of sport. Instead of displaying appreciative deference, he decried racist institutions, embraced his African roots, and challenged the nonviolent tenets of the civil rights movement. This beautifully written book—sophisticated, nuanced, and insightful—reveals a singular individual who expressed the dreams of Martin Luther King Jr. while echoing the warnings of Malcolm X.
Aram Goudsouzian is Associate Professor of History at the University of Memphis and the author of Sidney Poitier: Man, Actor, Icon.